The course will follow the chapters of Bayesian Psychometric Modeling (2017) by Roy Levy and Bob Mislevy. The University of Iowa Library has electronic access to the book at https://ebookcentral.proquest.com/lib/uiowa/detail.action?docID=4532358. In this course a unified Bayesian modeling approach will be presented across traditionally separate families of psychometric models. Focusing more directly how to use Bayesian methods in psychometrics, this course will to cover Bayesian theory along with applied treatments of popular psychometric models, including classical test theory, confirmatory factor analysis (CFA), item response theory (IRT), latent class analysis, diagnostic classification models, and Bayesian networks. The course will follow the chapters of the Levy and Mislevy (2017) text and may feature some additional references when necessary. February 22 MCMC Algorithms Ch 5. This course will not use ICON for lecture materials. Instead, we will use freely available commercial software for communication and dissemination of course materials. 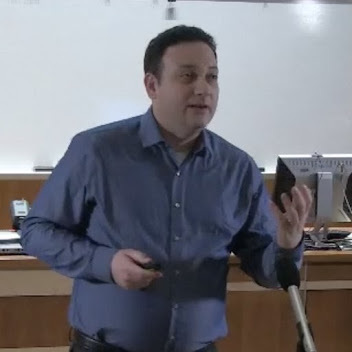 Course lecture slides, lecture examples, video files, assignments, and information are available on the website, https://jonathantemplin.com/bayesian-psychometric-modeling-spring-2019/. All lectures will be streamed and archived on YouTube (my YouTube channel is https://www.youtube.com/channel/UC6WctsOhVfGW1D9NZUH1xFg?view_as=subscriber). ICON will be used for storing your individual grades only. All course materials will be based in R, R Notebooks, and R Markdown and will be available using the course Git repository at: https://github.com/jonathantemplin/BayesianPsychometricModeling. We will be using Git to enable each of us to make changes to documents whenever mistakes are made or whenever other materials may be needed. Further, all homework assignments will be turned in as R Markdown documents, weaving text with analysis syntax. I am attempting to use GitHub Classroom to allow you to submit your materials that way. The course will use the R statistical package with the R Studio development suite along with a set of packages for using R with Non-R Bayesian Inference Software. Additionally, we will be using JAGS for all analyses. All assignments must be completed in R, using R Markdown. For all other specific information regarding general course policies, course evaluation rubrics, and grading systems, please see the course syllabus at the link below. R and R Studio work with JAGS by using a series of downloadable packages. Further, additional R packages may be used within the course as needed. Student evaluation will be made based homework grades only. There will be at most seven homework assignments, with no less than two weeks time to submit answers. All homework and answers must be from each student’s own work and not be copied or paraphrased from anyone else’s answers. After each homework (but the last) has been graded, students can revise and resubmit their homework for a better grade. Homework revisions will have a unique deadline for submission. Each homework will be worth approximately 15 points, for 105 total points that can be earned. In order to be able to provide the entire class with prompt feedback, late homework assignments will incur a 5-point penalty. However, extensions may be granted as needed for extenuating circumstances (e.g., conferences, family obligations) if requested at least three weeks in advance of the due date. I ask any students who are in need of any accomodations, have any emergency medical information of whichI should be aware, or need alternate arrangements in the event the building must be evacuated to schedule a meeting with me as soon as possible. It is my intent that students from all diverse backgrounds and perspectives be well-served by this course, that students’ learning needs be addressed both in and out of class, and that the diversity that students bring to this class be viewed as a resource, strength and benefit. It is my intent to present materials and activities that are respectful of diversity: gender, sexual orientation, disability, age, socioeconomic status, ethnicity, race, culture, perspective, and other background characteristics. Your suggestions about how to improve the value of diversity in this course are encouraged and appreciated. Please let me know ways to improve the effectiveness of the course for you personally or for other students or student groups. In addition, in scheduling this course, I have attempted to avoid conflicts with major religious holidays. If, however, I have inadvertently scheduled a deadline that creates a conflict with your religious observances, please let me know as soon as possible so that we can make other arrangements.